When you put together all of the shows one person watches, the list can cover a staggering amount of channels. It seems like we're always flipping from one to another when we have nothing particular on. That gave rise to today's channel packages, which can provide hundreds of networks to choose from. One channel that does provide content viewed by a wide range of people is CW, and now it's coming to Roku. The tiny set-top box maker announces the network is available beginning right now and it's free -- no login or subscription needed. 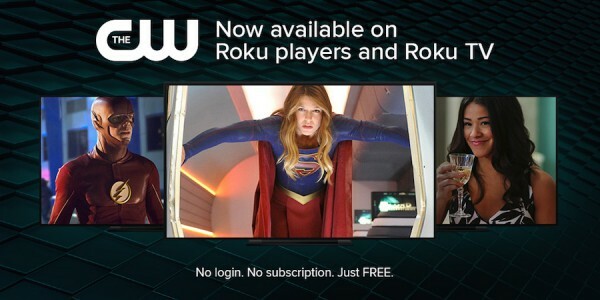 Roku promises "The CW channel will give all Roku customers access to the current season of shows including The Flash, Supergirl and Arrow. New episodes are available the day after they air, with the last five episodes available at a time". The app provides "Latest", where you can find newly available content, and "Shows", which contains everything on the network. One highlight to look forward to -- on October 6th and 7th the CW will stream the iHeartRadio music festival. That isn't live, the festival just took place September 23rd and 24th in Las Vegas. Grab the CW now and begin watching all of your favorite shows. It could be a binge weekend.